Marysville, Napanee AreaRecord Owner? Log in. Pop. 124. In Tyendinaga T., Hastings C., on the CNRand C. Rd. 1, 1 km. S of Hwy 401, 12 km. SW of Napanee. 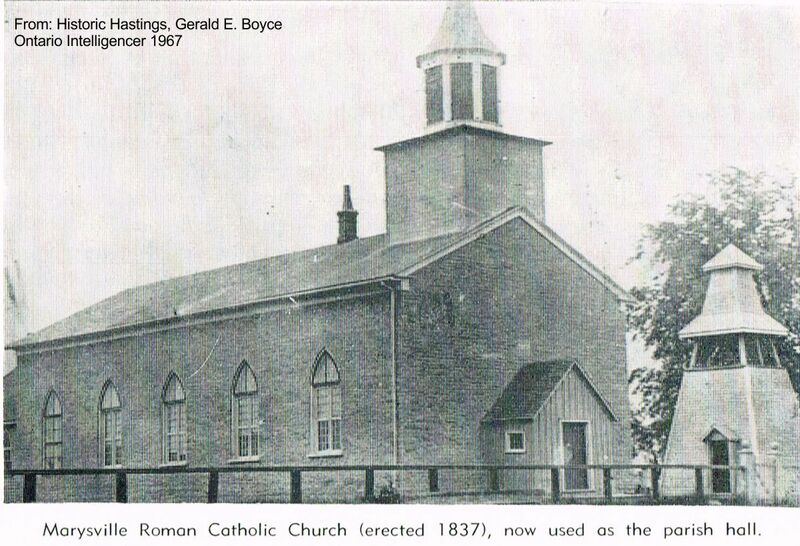 The place was shown on an early map as Tyendinaga, but in 1851 its post office took the name Marysville from the local parish of S1, Mary's. This Marysville is about 50 km. W of the Marysville on Wolfe I. Have something to say about Marysville, Napanee Area?